We hear this all the time in our insurance office. Tattooists, piercers, permanent cosmetics, and other beauty & bodyworks professionals often think that by having the client sign a release form, they will not be sued. Wrong! The release form can help protect you in court. But, that means you have already been sued and had to hire a lawyer if the shop or individual does not have insurance. Malpractice lawyers now average from $300 an hour and up in almost every location in the country. So the release form may be a help to the sued professional ultimately; but only after hiring an attorney for thousands of dollars and even then it might not carry much weight with the court. Use a release form. But, be aware it will never take the place of insurance. You cannot release liability prior to having a procedure done if there is negligence in the work. That is a well-established case law fact in the US. Release forms should list the known complications. For suggestions on what to include, forms can be requested from Jon Jepsen at SentryWest Insurance Services. Tattooist and permanent cosmetic people must be sure to advise the client of the possible risk of an allergic reaction to pigments. This has become a standard warning. Additionally, all release forms should warn of the possibility of infection and that compliance with aftercare instructions are crucial for the proper healing of the tattoo, permanent cosmetic work or body piercing. While it may not necessarily stand up in court, we suggest professionals have a release of liability. If even one client is put off from suing, it will be worth it. Check your insurance policy. Many policies require a signed release form be on file at the time of the claim, if the claim is to be covered. PPIB’s policy requires a signed release for body pierces and for students or apprentices working on models. Other policies require it for all permanent cosmetic work. Check out what the situation is on your policy so you will be properly covered if or when a claim arises. Is Your Salon Business Prepared for a Lawsuit? It seems that beauty treatments are one of those rare "recession proof" commodities that Americans love. But what happens when that love goes away? Like in 2009, when a 14 year old Florida girl went in to a beauty salon to have her hair dyed blue, and came out with third-degree burns and bald patches. Her parents spent $85,000 in medical expenses and surgical procedures, and turned around and sued the salon for negligence and pain and suffering. It turned out a stylist had not followed the product directions. While you may have faithful customers and always follow directions, accidents happen all the time. While you focus on your customers and your business, it's important to have the right beauty salon insurance to protect you from financial losses. If you are like the majority of salon owners, your small business is your livelihood. Whether you are just getting started or beginning to expand to new locations, you need the right beauty salon business insurance to keep your investment secure. 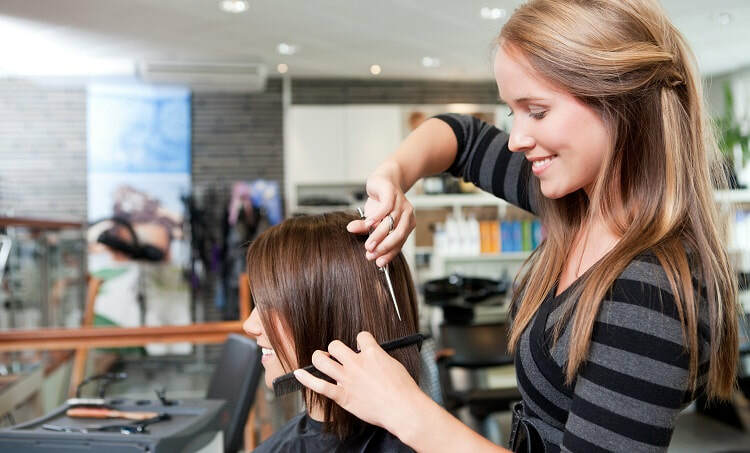 Salon liability insurance: This provides financial protection if a customer incurs bodily injury or property damage in your place of business and sues. For example, if one of your clients slips and falls at the wash basin, your general liability would pay her medical expenses, plus any judgment or settlement amount you owe, as well as for your legal defense. It's a good idea to set your liability coverage limits as high as you can afford. Property and casualty insurance: This covers damage to the building that houses your salon, whether you lease or own it. Casualty insurance covers property you keep inside the walls of your salon, such as computers, counters, chairs, tanning beds, styling equipment, and product. Usually this coverage does not include plate glass walls. If your salon storefront includes a large amount of glass, you may wish to purchase plate glass coverage for a small increase in your premium. Workers compensation insurance: If you have employees, you need workers compensation coverage to protect against financial loss from on-the-job injuries and illnesses. This coverage helps the employee by paying medical bills, a portion of lost income, and rehabilitation expenses. It also protects you from lawsuits. Most policies stipulate that by accepting workers compensation payments, the employee agrees not to sue the salon. There are several additional considerations for salon owners, depending upon the nature of the salon and the services offered. 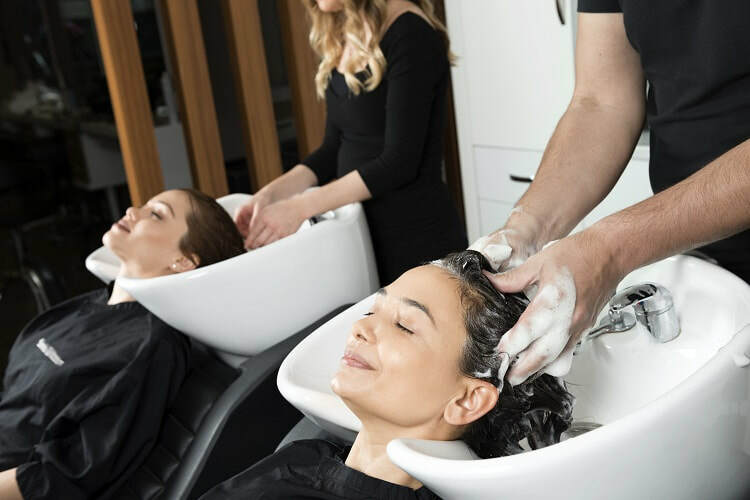 The hair stylists, manicurists and massage therapists who rent space in your salon may not be covered by your general liability policy if they cause bodily injury or property damage to one of your clients. Stylists can face lawsuits over something as small as a bad haircut, and these suits can be just as financially destructive as a case in which a client suffers physical harm, such as a chemical burn or an allergic reaction. Consider requiring all of your beauty contractors to carry professional liability insurance. This will provide financial protection for both the contractor and, consequently, the salon, which is helpful if you face litigation over accidents that occur during service. If there is a problem with a product you sell, such as a manufacturing flaw or a chemical imbalance in a hair care product, you could be partially liable for any illness or injury your customer suffers. A faulty product suit can affect all parts of the distribution network, from the manufacturer all the way down to the seller. If you carry personal care products on your shelves, such as shampoos, oils, nail lacquers, soaps, massagers, and so on, you can likely benefit from product liability insurance. Product liability provides financial protection for your salon, if one of your products causes injury to your customers. That way you don't have to pay for a manufacturer's mistake. Professional liability insurance: This is especially important for nail salons, because if a worker fails to sanitize tools or accidentally cuts or otherwise injures a customer, your business could be sued. Make sure each employee or contractor carries professional liability coverage so that you are protected from lawsuits due to service mistakes. The beauty industry is experiencing a major shift right now—with technology and organic products changing the industry. As a salon owner, you can incorporate these trends into your salon by first being aware of them and then doing your research. Not every trend will fit seamlessly into your business model. But there may be a way for you to incorporate the trend in a small way and then decide if you want to invest in it further. So what exactly are these hot beauty trends? Using data to fuel business growth. Big data is a phrase you will hear in almost every industry. You may not think of a salon as a place where numbers are important, but that couldn’t be further from the truth. Data can help your salon by showing you trends in employees, sales, and pricing. A new app called ZeeZor allows salon owners and employees to track their progress on a dashboard. Stylists can track their rebooking percentage, retention rates, and sales for specified periods of time. Data also allows salons to drive strategy while reduces the emotion out of the decision making process. As an owner, you can help stylists set goals for themselves. This allows for employees to see where they are excelling and where they can improve. Natural and organic beauty products are here to stay. Consumers are becoming more aware of the harmful effects of ingredients in many skin and hair care products—and rightly so! Some ingredients have been shown to interfere with the body’s natural hormone balance, mimicking estrogen and causing issues with breast and reproductive tissue. Women want to do what they can to eliminate these chemicals while still getting the results they crave from their beauty products. According to Transparency Market Research, the global demand for organic personal care products is estimated to reach $13.2 billion by 2018. Your salon should introduce customers to brands they can trust and feel good about. High-tech gadgets and apps. Beauty app usage is going up each year. Now people can try on makeup virtually, match foundation shades through their phone, and try on new haircuts and colors without stepping foot into a salon. The growth of customer beauty offerings is sky rocketing, as each customer wants an experience they feel is meant just for them. These virtual services are found on phones as well as on devices in stores. Also, consider what type of gadgets your salon would be interested in selling. Skin care devices are hot sellers. On the customization side of things, could your salon incorporate a virtual reality application that helps customers select a hair cut or color? These types of personalized services can improve customer loyalty and retention, and the opportunities are endless when it comes to technology! ​Keep these trends in mind as you begin to think about the new services and products you may want to offer in your salon. Good communication is necessary in just about every profession, but it’s especially important for stylists. Every day, you are working hands-on with your clients, aiming to give them a look they will absolutely love. And while giving your clients a great look is what the job is about on the surface, in reality, it’s all about building relationships. Ask clients to bring pictures of styles they like. Ask what elements they like about each style. Greet your clients by name as they enter the salon. Make eye contact! This will help you better gauge how your client is feeling and shows you are engaged. Over-communicate what you are going to do. If you are behind schedule, give an estimate of how long the wait will be. Speak with confidence when recommending styles and products to boost your credibility. Avoid industry jargon—speak your client’s language. Gently suggest similar but more flattering alternatives if a client requests a cut or color that would not work well with his or her features. Share new styles and trends. Listen actively, asking follow-up questions and repeating key points back to your client for clarification. Sit at eye-level during consultations. Teach your clients how to recreate salon looks at home. Don’t just ask what style your client wants—ask what he or she wants to achieve with the look—to give you a better idea of what the underlying goal is for the new style and to help you make recommendations. Be aware of your tone. Avoid sarcasm or snarkiness. Same as at the Thanksgiving dinner table, avoid the topics of religion and politics (unless your client brings these topics up first). Take the time to consider how a message sent over email or a messaging program may be read. How would you react if you received the message? Get to know your client personally—job, morning routines, styling ability, products and tools used—to help you make better style and product recommendations. Avoid slouching during sit-down consultations. Offer the customer service you would expect from others to your clients. Communication and building relationships isn’t always easy, but seeing your clients happy and coming back makes it worth the effort!